The annual auction event promises to be a festive evening in celebration and support of Saint Andrew’s School. Guests will enjoy delicious food & beverages, entertainment, dancing, and friendly bidding on enticing auction packages. Proceeds directly benefit students and faculty by providing resources to help fulfill our mission of sustaining excellence in education and nurturing each student in mind, body, and spirit. Don’t miss it - we hope you will get involved and plan to attend! Do you have access to sports or event tickets, vacation properties, services, merchandise, or unique experiences? Be inspired to help make this event another great success! Sponsorship and exclusive underwriting opportunities are available from $500 to $50,000 and your support in any amount is greatly appreciated. Confirm your support by November 1 to enjoy a sponsor holiday reception at the home of Co-Chairs Cathy and Abdol Moabery, by January 10 to be included on the printed invitations, and by February 1 to be included in the sponsor reception hosted by the Head of School at the Saint Andrew’s House. Honor excellence by placing an advertisement in our new and improved calendar-style Auction Journal. This 16-month keepsake calendar features student photos and is a wonderful to honor your child(ren), teachers, or coaches or promote your business within the Saint Andrew’s community. one for $20 or a book of 6 for $100. Win a $10,000 tuition credit for the 2019-2020 academic year or choose cash prize option! Tuition credit applies to students enrolled for the 2019-2020 academic year at Saint Andrew’s School or winner may choose cash option. Must be 18 years of age or older to purchase raffle tickets. 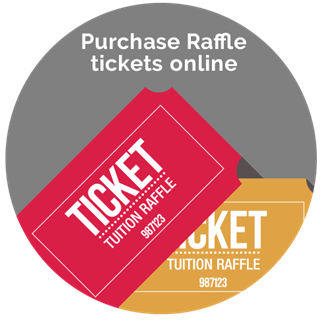 The purchase of raffle tickets is not tax deductible by law. Prize is $10,000 less taxes. Federal tax laws require a W-2G be issued to winner and taxes withheld. For tax implications, please consult a tax professional. Winner need not be present and will be notified by telephone on March 15, 2019. Thank you for your support of Saint Andrew’s School! Be part of the excitement and attend The Event to show your commitment to Saint Andrew’s. Invitations will be mailed in January, and you may RSVP online anytime. It is with honor and distinction that we serve as the 2019 co-chairs of RED: The Event. Our theme this year is CELEBRATE, and with all of the great things happening at our school, we find the theme especially relevant this year. Over the course of the coming months, we will be working with the “Celebration Committee” to make this the most notable event of the year. This event is made possible by our sponsors, auction donors, volunteers, and attendees. We are indebted to all for the participation and generosity. Your support of this event underscores your commitment to Saint Andrew’s School by funding current needs and programming support for the noble endeavors of our faculty, administrators, and staff and further validates the extraordinary institution Saint Andrew’s has become. CELEBRATE WITH US on Saturday, March 2, 2019, and enjoy an evening of friendship, stewardship, and a lot of fun! Thank you in advance for your commitment and generous support of the Saint Andrews School Event - RED.